For anyone interested in using CO2 laser machines to cut an engrave acrylic, you might be unsure as to why this might be necessary. While in the past we would have used manual angle cutters or 3D printing to try and get the right finish for an acrylic item, CO2 laser machines make it much easier to imagine. 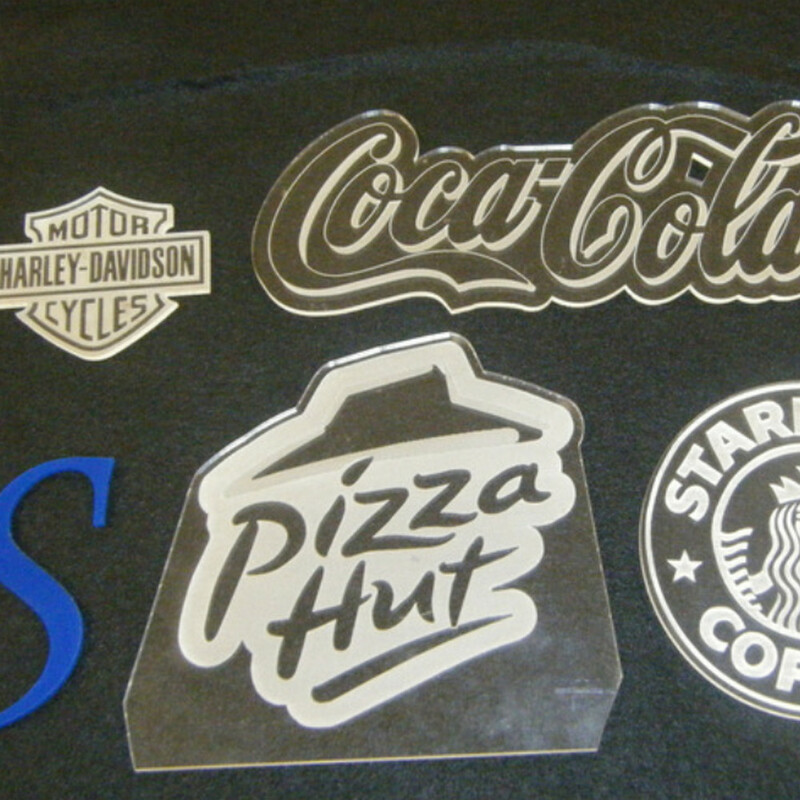 There are many reasons why CO2 laser machines to cut and engrave acrylic would be used. 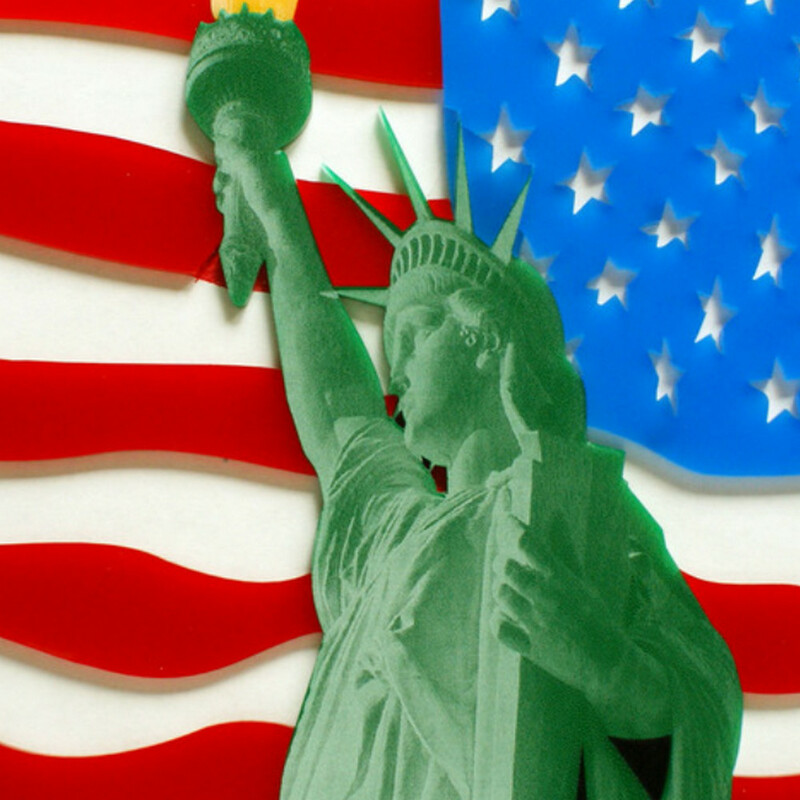 With so many different industries capable of finding a viable use for acrylic designs, there really should be no uncertainty or confusion as to why using laser machinery for cutting and engraving is so beneficial. 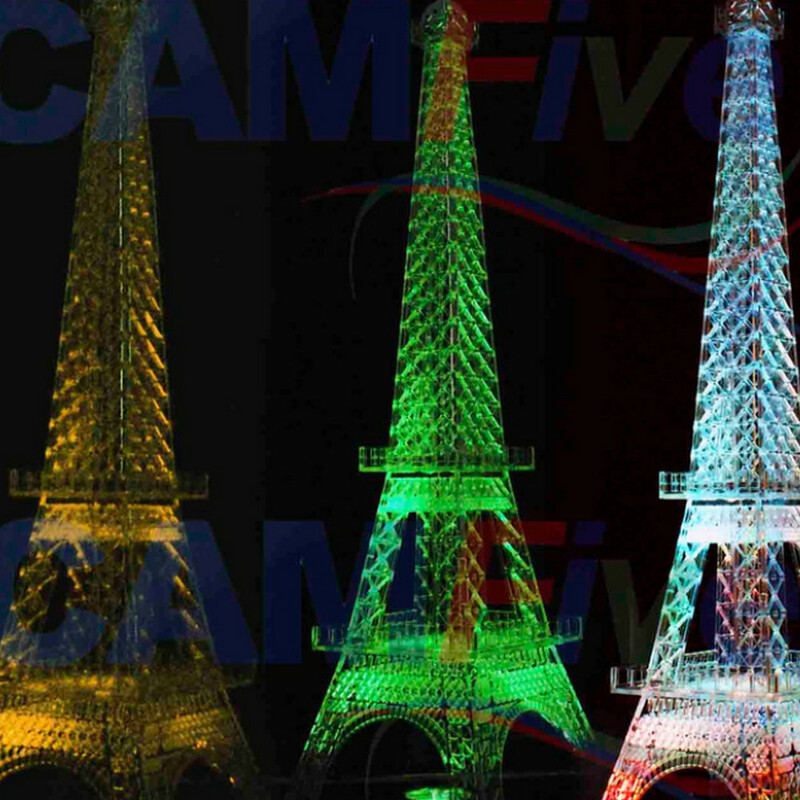 At CAMFive, we deliver comprehensive CO2 laser engraving for acrylic items across numerous different industries. Whatever your particular need for acrylic engraving, you can rely upon us to make sure you can get the kind of professional finish that you need and/or desire. As with anything, accuracy and consistency matters. 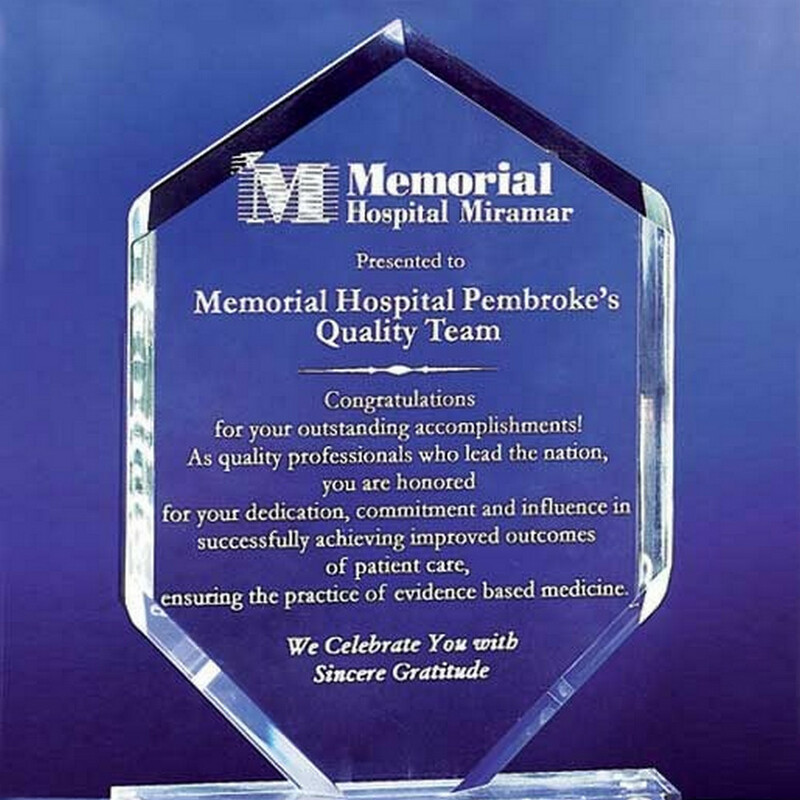 From having new awards developed in acrylic to creating retail-worthy items in gift shops and stores, acrylic printing and engraving has to be consistent. 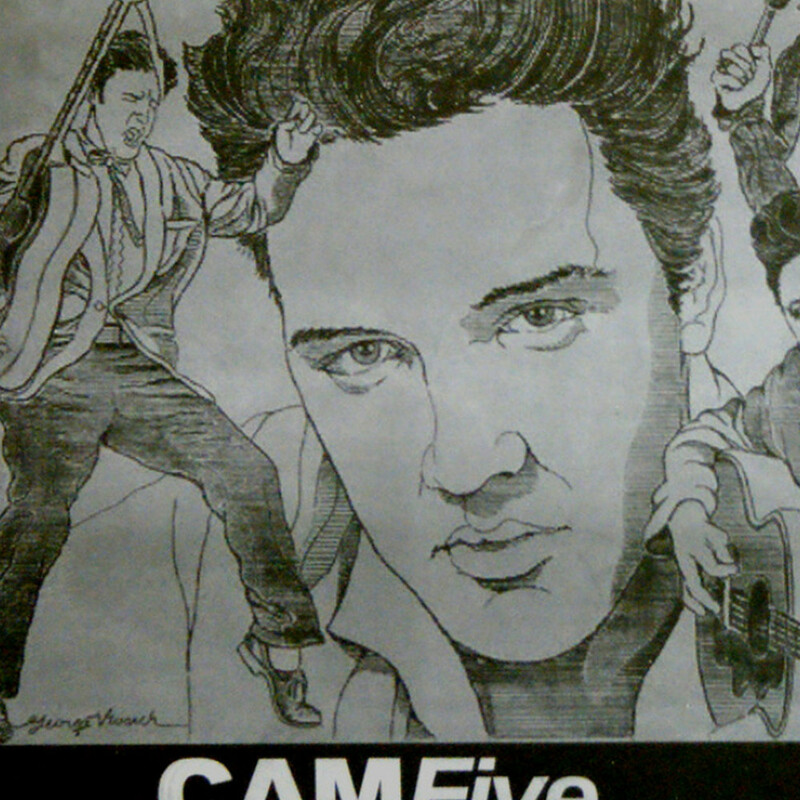 How can you sell a product without any guarantee of uniformity in quality? With laser machines, you can make sure that the cut is as accurate as possible each and every time. This utterly removes the challenge of making the cuts sharp and accurate, and makes it much easier for you to create the ideal finish. 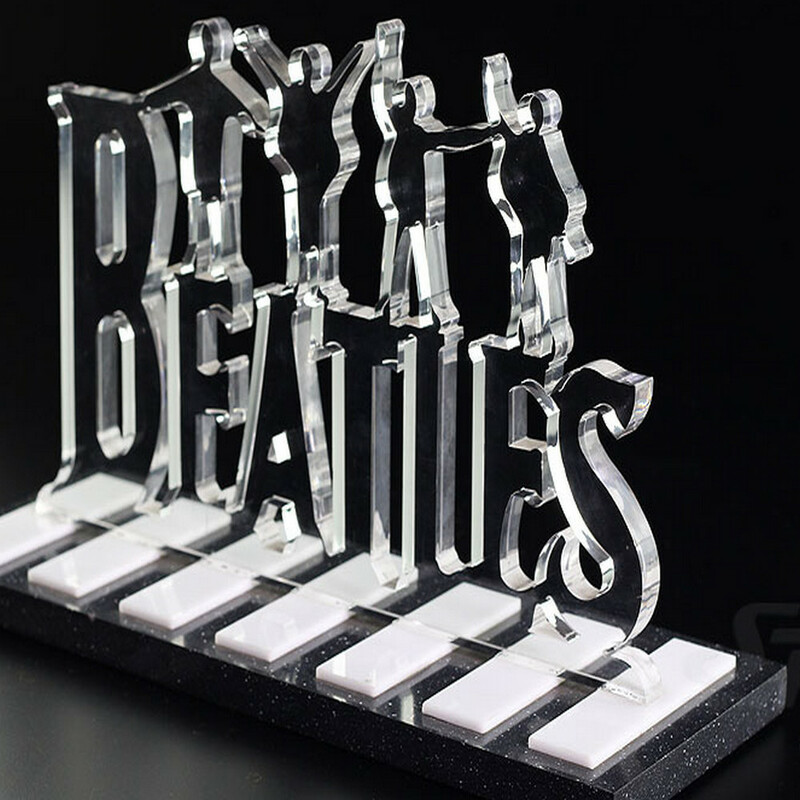 Laser Engraving Acrylic: What’s The Purpose? 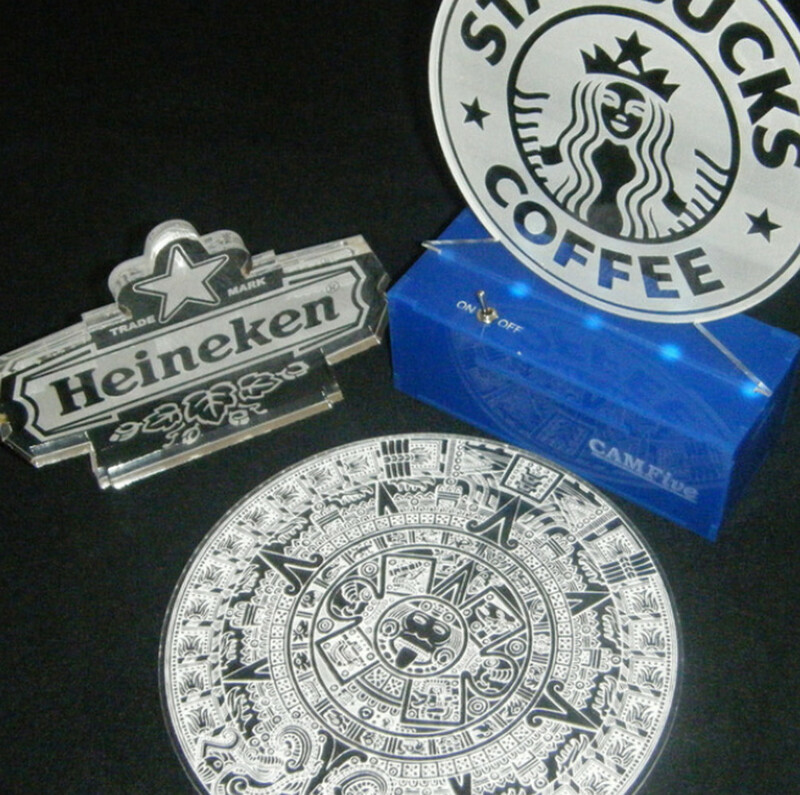 There are many reasons why one might choose to laser engrave a piece of acrylic. However, the main thing to know is that the primary purpose is to deliver a clear, consistent finish time and time again. 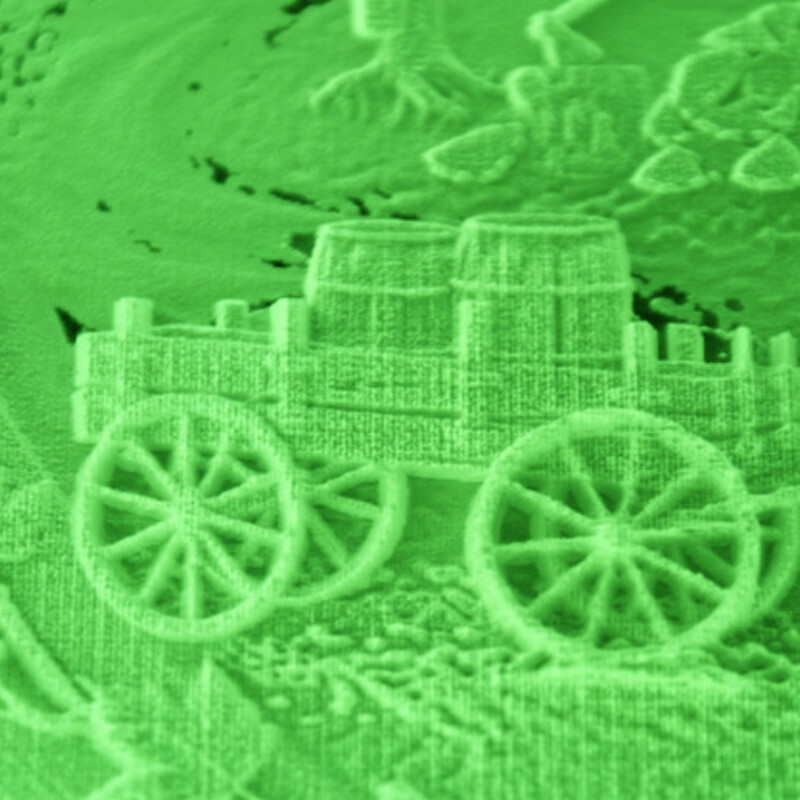 By using a very cool finish that looks very intricate each time, cast acrylic sheets tend to be easily engraved and edited to make sure that the finished product is as attractive as it can be. Whether you wish to use Cast or Extruded acrylic – with both reacting differently under the gaze of a laser – is entirely up to you. The end aim and result is always the same; a crisp, clean and well-cut piece of acrylic that looks outstanding. 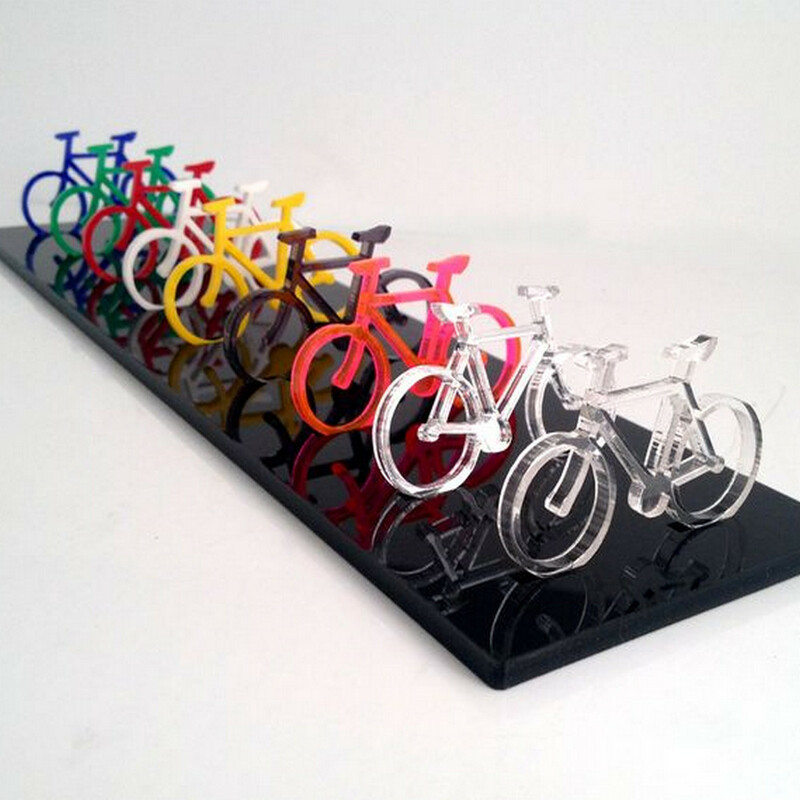 For example, though, extruded acrylic can come with a more limited selection of colors to be cut in. The trade-off though, is that extruded acrylic is also usually much cleaner and sharper than a cast finish. As the laser works through your extruded layer of acrylic, it will leave an almost glass-smooth finish around the edges, with a nice flame-polished edge making sure it maintains that pristine shape and style. Also, more importantly, you can find that cast is harder to flame, generally a little rougher and also more expensive. However, it comes with a nice contrast to the design when engraved, and can therefore make an excellent choice for those who are in need of a specific kind of look from their acrylic laser engraving. Development of illuminated LED lighting signs. Laser cut acrylic lettering for creating signage or similar. Laser cut marketing materials made from acrylic. Advertising content and point of sale features. The creation of awards and other hand-out goods. Home decoration items made bespoke to the needs and whims of the recipient. 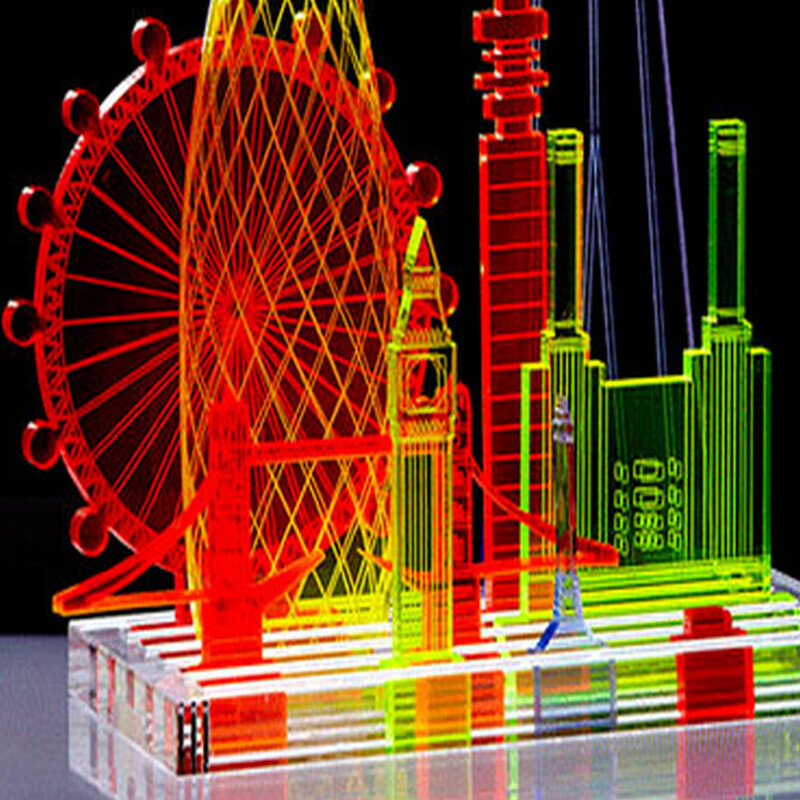 Architectural modelling and model development using acrylic. 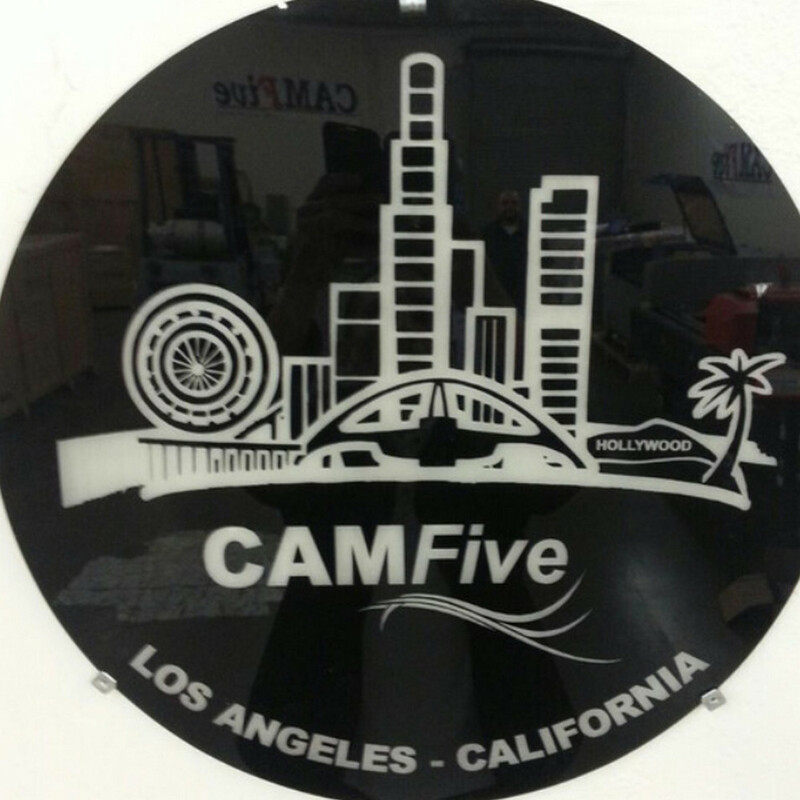 Of course, at CAMFIVE we would love to hear from you about what you are looking for and what kind of acrylic engraving you would like to carry out. 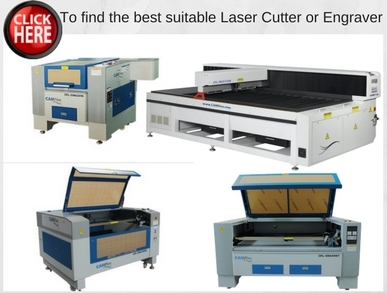 With top quality laser cutters and engravers, we can help you to find the perfect model for your own needs. We can help to determine the viability of such a development, and make sure that your plans can both be met and satisfied at the same time. 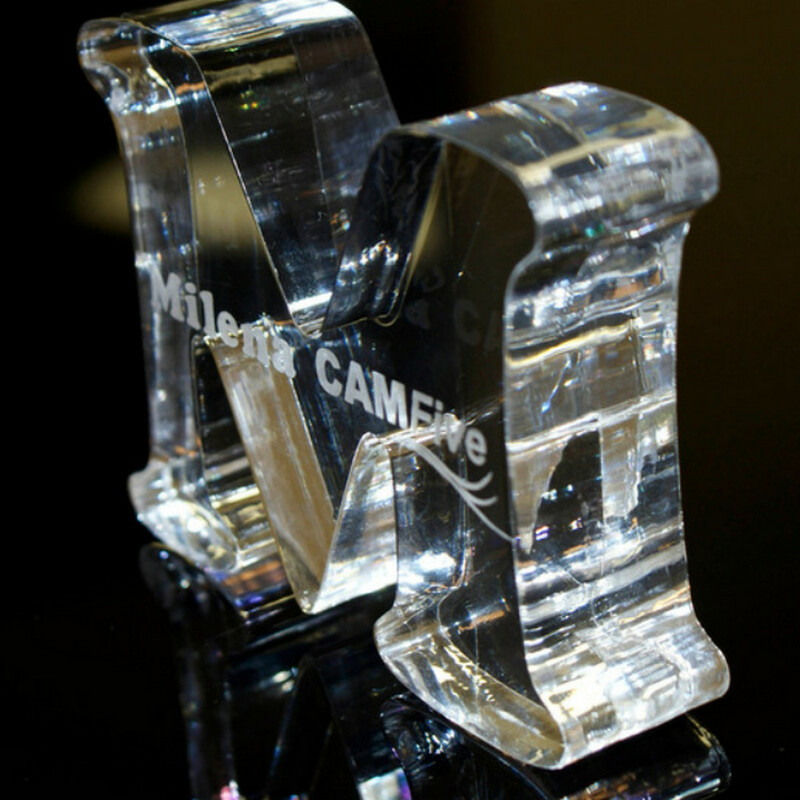 With so much to consider when laser engraving acrylic, it’s important to fully understand the process and the outcome. With various industries who could make use of this, from marketing firms to businesses and brands looking to solidify their image, acrylic laser engraving is increasingly popular for good reason. 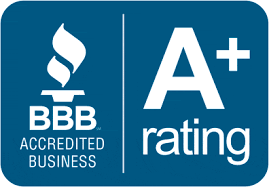 If you would like to see and feel more about whether or not acrylic would be the right choice for your own end contact CAMFIVE today.